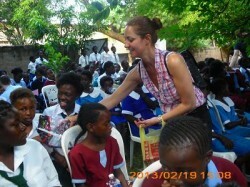 The Academic work team that visited Zambia had an opportunity to meet some of the sponsored children. The meeting was sheduled for 2pm but the girls started arriving at the office as early as 11am. 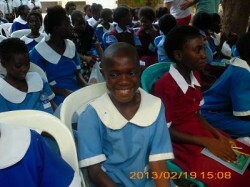 The excitement of them meeting their sponsors could be heard in their songs and laughter.They could not keep the joy to themselves so they kept on singing until the team arrived. The day was made more brighter when they were given gifts. 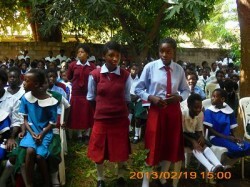 For them this day will never be forgotten in their lives.A group of girls from Linda West Basic schoolconveyed their message in a poem, it was so touching to know what some of these girls go through before getting sponsorship.